Road Trip with Friends: For a Californian, a road trip is always on the cards. You can choose an 14 passenger van rental orange county for rent, from our fleet and be sure that you will have a wonderful trip with your buddies. Business Transportation: If you have a business guest arriving to Orange County or want one of your employees to get airport transportation from home, you can opt for Orange County van rentals. A lot of businesses have benefitted from our timely and professional van rental services. We also have pick up services which will ensure that you do not have to run around to get the best service. Night Out with Friends: There is so much to explore in and around Orange County. In case you are looking to have some fun with your friends during the night and want the right vehicle while being together, you can opt for our van rentals. Since we have a service that is very affordable, you will definitely save money which you can add on to your party budget! Other than the above mentioned purposes, you might as well rent out a van when your car might not be sufficient enough for the number of passengers. We have a varied fleet that includes 8-paasenger mini-vans, 12 and 15 passenger vans as well as SUVs for various purposes. Make a reservation online or contact us and talk to one of our booking experts to get your 14 passenger van rentals today! 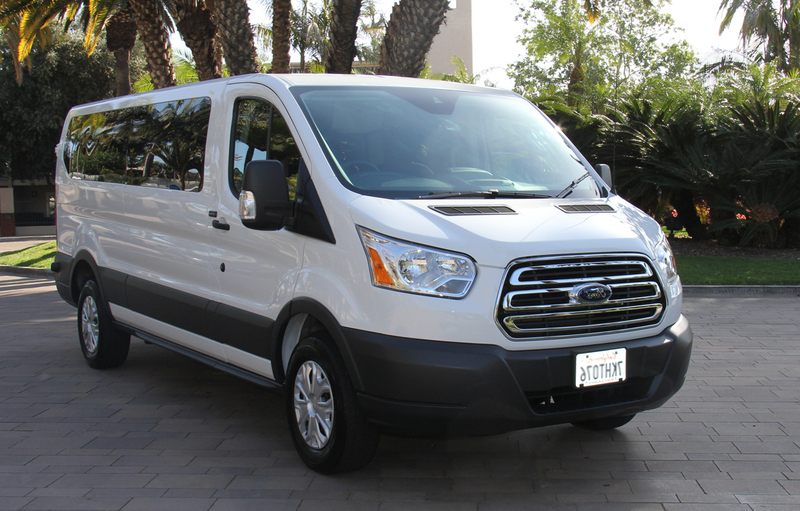 Our 14 passenger rental orange county are fully loaded Express vans with Automatic Transmission, Air conditioning, Auxiliary Audio Input jack (opt) and CD player. The 14 passenger vans come equipped with a removable bench seat, anti-lock brakes, and rear swing-out van doors with vented glass. Call Now.